Toronto, Ont. 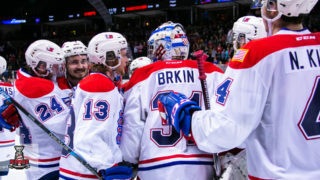 – The Canadian Hockey League today announced the week 21 edition of the Kia CHL Top-10 Rankings for the 2018-19 season. The weekly rankings of the CHL’s Top-10 teams are selected by a panel of National Hockey League scouts. The Prince Albert Raiders held onto second place for a second-straight week in the Kia CHL Top 10 Rankings. This past week, the Raiders rolled to wins over the Calgary Hitmen and Lethbridge Hurricanes to complete their final road trip through Alberta for the regular season. 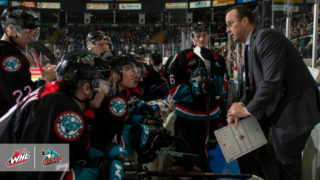 Saturday’s win against the Hurricanes, the Raiders’ 45th of the season, marked the 500th win of Marc Habscheid’s WHL coaching career. Habscheid is the eighth coach in WHL history to reach the 500-win milestone. As part of the productive week, Raiders’ forward Cole Fonstad (Montreal Canadiens) was named the WHL On the Run Player of the Week. 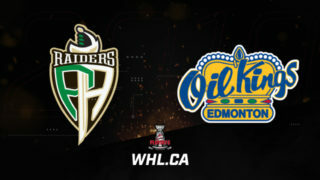 The Raiders are back in action Wednesday, February 13 (7:00 p.m. CT) against the Swift Current Broncos. Holding steady in the seven spot for another week were the Everett Silvertips, who became the second team in the WHL to clinch a spot in the 2019 WHL Playoffs after shutting out the Portland Winterhawks 5-0 Saturday. 2019 NHL Draft prospect Dustin Wolf was in net for Saturday’s shutout win as well as a tight 1-0 loss to the Medicine Hat Tigers Friday. Serving as the 10th shutout of his WHL career, Wolf is now tied for fourth all-time in the statistic among Silvertips’ goaltenders, paired with Austin Lotz. The Silvertips return to action Thursday, February 14 (7:05 p.m. PT) at home against the Red Deer Rebels. The Vancouver Giants returned to the Kia CHL Top 10 Rankings, sliding into the 10 spot this week. 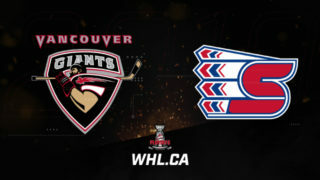 The Giants’ past seven days included a 4-3 overtime victory against the Prince George Cougars, a 3-1 win against the Kamloops Blazers, and a 4-1 victory against the Cougars to extend their winning streak to five games and clinch a spot in the 2019 WHL Playoffs. 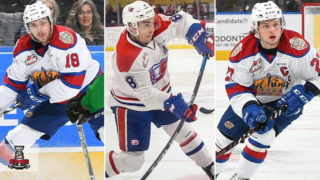 A quartet of players in 2019 NHL Draft prospect Bowen Byram, as well as forwards Davis Koch, Justin Sourdif, and Tristen Nielsen each have five points or more over that five-game stretch. 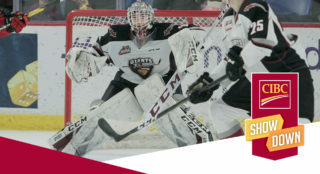 The Giants return to action Friday, February 15 (7:30 p.m. PT) against the Spokane Chiefs in their RE/MAX Presents: #WHLSuitsUp with Don Cherry to Promote Organ Donation game at the Langley Events Centre. Earning an honourable mention this week were the Saskatoon Blades, who extended their undefeated-in-regulation streak to 10 games with wins against the Moose Jaw Warriors, Swift Current Broncos, and Brandon Wheat Kings. Overage forward Max Gerlach is currently riding an 11-game point streak with 19 points (9G-10A) in that span. The Blades take on the Medicine Hat Tigers at the Canalta Centre Wednesday, February 13 (7:00 p.m. CT).